What to bring to a LAN Party at Wootpedia: The Video Game Event Encyclopedia! What do I need to bring to a LAN Party? 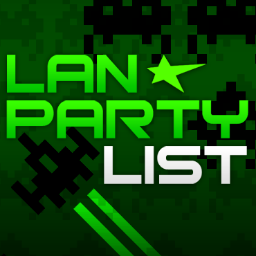 So you've found a cool looking LAN party, and the day has finally arrived. including all peripherals and accessories you need: Tower, monitor, keyboard, mouse. Don't forget your mousepad and power cables! also known as a LAN cable. 5 foot minimum, although up to 25 foot may be requested for some events. Also known as a power strip. One with a breaker is recommended. and patched to the latest version; some games may be provided at the event. including items like wrist rests and mouse pad rests, along with those therapeutic squeeze balls; six or eight straight hours of Quake or Armagetron can be pretty hard on your forearms. Spills are bound to happen eventually. Wouldn't it be nice to have the clean up stuff in your bag where you can get to it quickly? Also great for wiping the grease left on your fingers from those snacks you've been chomping on. Candy always sounds like a good idea, but the sugar will, over time, just make you all gittery and sweaty. Try bringing non-greasy, non-sticky food that you would normally eat anyway. As for drinks, a small ice chest with a six-pack of soda and a six-pack of bottled water does the trick quite nicely. Sometimes, even private LAN parties will ask for donations. It's always good to offer to contribute even if the host doesn't ask. Money is good for emergencies as well, like if everyone decides to order some pizzas or something. $20 in smaller bills should serve you well. of the host's house or event building in case you get lost on the way there. Go with a friend! This is the best way to stay safe when checking out a new event with people you may not know, especially when you're bringing your $1,000 gaming rig.